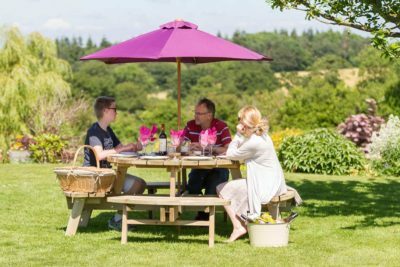 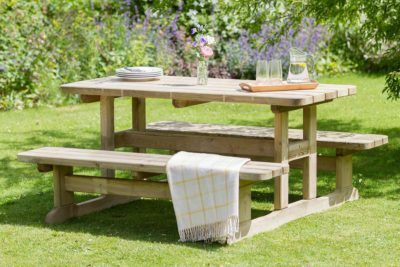 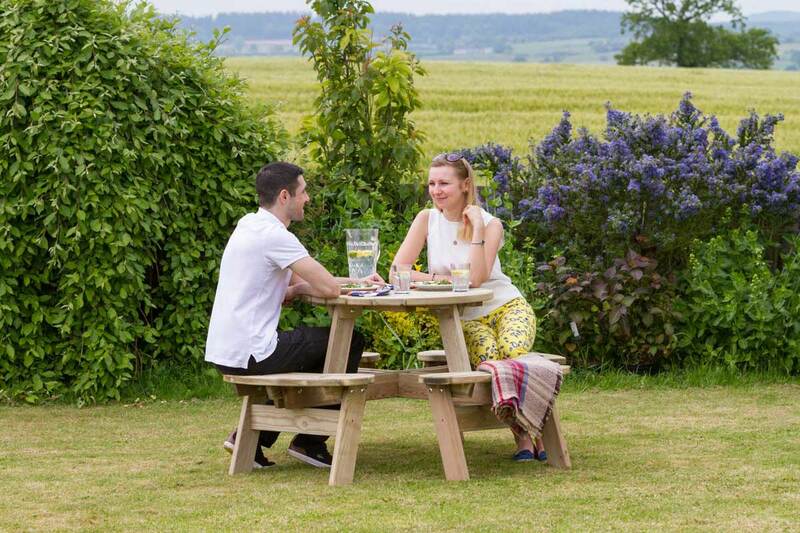 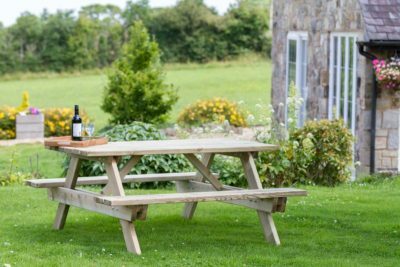 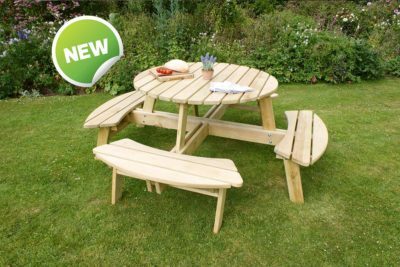 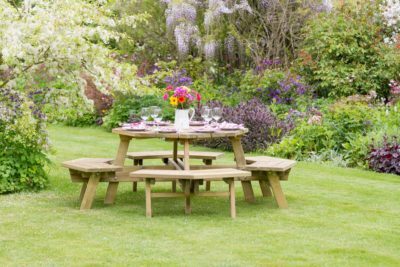 Whether you need a picnic table for your garden, your school, or a community space, we have a selection of tables to choose from. Ideal for enjoying food and drinks, or simply to spend time with family and friends. Our picnic tables come with fixed benches or chairs which can comfortably seat 4 to 6 people. However, if you’re after a table for larger groups the Madison Picnic Table can seat up to 8 people. 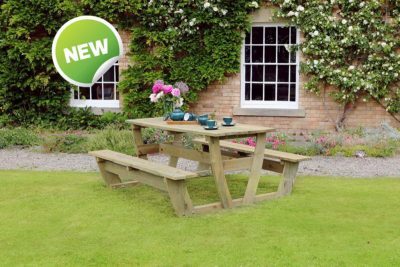 You can enjoy our picnic tables for many years to come as they are made from pressure treated wood and are guaranteed against rot for 10 years. In addition to these great features, our round picnic tables have parasol holes for your sun umbrellas.